We can’t always make the time for long vacations, but don’t let that stop you from creating new experiences and memories with your family. There are 52 chances throughout the year to make your weekend count. Here are five road trips from St. Louis that make for an awesome family getaway. Roughly two hours from St. Louis is one of the most beautiful areas of Illinois, Shawnee National Forest. It’s the perfect escape from the city and everyone can enjoy a digital detox. There are hiking trails for every age, fishing, a walk-in cave along the river, and even a swimming beach. Want to make it an extra memorable experience? Sleep at a treehouse hotel at Timber Ridge Outpost!! 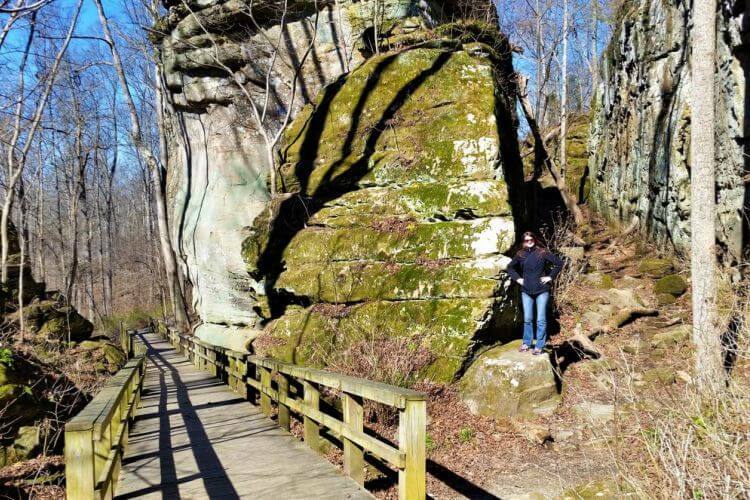 Don’t miss hiking Garden of the Gods Observation Trail, Rim Rock Trail, Bell Smith Springs Recreational Area, Pounds Hollow Beach and Giant City State Park. On the Way There: If you are not in a hurry, take the long route along Mississippi River and stop in the small town of Chester, home of Popeye. As long as your kids know who the spinach-eating muscle man is, they will enjoy the short detour. Indianapolis is just under four hours from St. Louis, and it is a treasure trove when it comes to family-friendly things to do. Nothing says fun like the World’s Largest Children’s Museum, am I right? Touch sharks at the Indianapolis Zoo, float up in the sky in a helium balloon at Conner Prairie, feel like you’re in Europe biking the Canal Walk, visit the oldest continuously operated race course in the world at the Indianapolis Motor Speedway Museum, tour the state capitol building at the Indiana Statehouse, and be surrounded by butterflies at White River Garden. On the Way There: Right about half way through the drive is Casey, Illinois, home to many of the world’s largest items, including a mailbox you can stand in, rocking chair, wind chimes, wooden shoes, knitting needles, pencil, and golf tee. It’s a quirky stop the kids will enjoy. 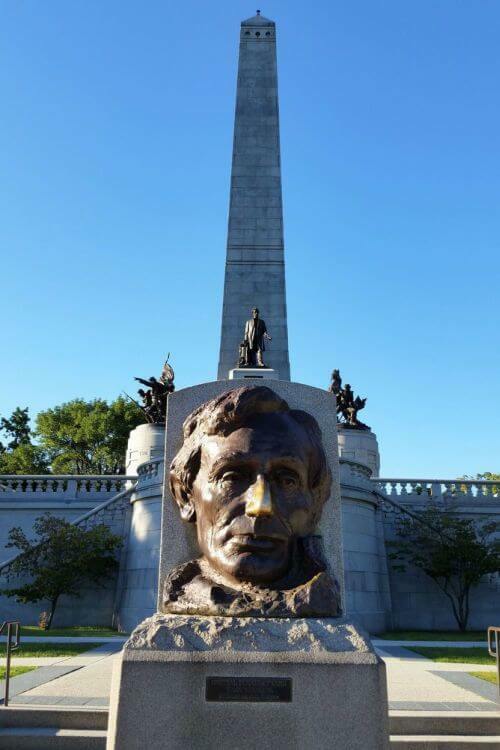 Previously home to one of the most well-known and beloved Presidents in our nation’s history, Springfield has a wealth of historical sites dedicated to Abraham Lincoln. 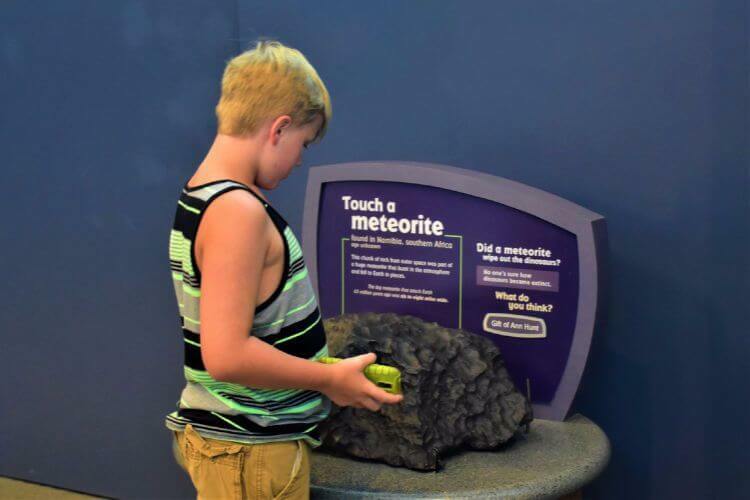 Educational and entertaining, everyone in the family will enjoy a short weekend getaway while learning a thing or two. Do not miss the Abraham Lincoln Presidential Museum, where history comes to life with exhibits that follow Lincoln from the log cabin at the very beginning to the White House at the tragic end. Make sure to see the two holographic, multimedia productions where you’ll be guessing whether or not you’re seeing real people. Afterwards, take a tour of the only home Lincoln ever owned at the Lincoln Home National Historic Site where he rose from a thriving lawyer to an influential politician. And finally, visit the Lincoln Tomb and 117-foot Monument in Oak Ridge Cemetery where Abraham Lincoln, Mary Todd Lincoln, and three of their four children are buried. As you leave, make sure to rub Lincoln’s nose on the bronze bust for good luck! If you are looking for an action-packed getaway that’s not too far from the city, head over to Meramec State Park where you can spend the weekend canoeing, cave exploring and zip-lining. This is one of our favorite weekend getaways in Missouri. With over 6,000 caves, Missouri is known as, “The Cave State” and the largest one is found an hour away from St. Louis. Meramec Caverns have been open to the public since 1933 and are said to have been the hideout of outlaw Jesse James. If the kids are interested in learning more about the infamous bandit, there’s a Jesse James Wax Museum not far from the caverns. Meramec Caverns are also home to the Caveman Zip Line, where you can soar through the treetops and swing high in the sky. The four lines run from 250 feet to 1,250 feet and reach up to 50 MPH. 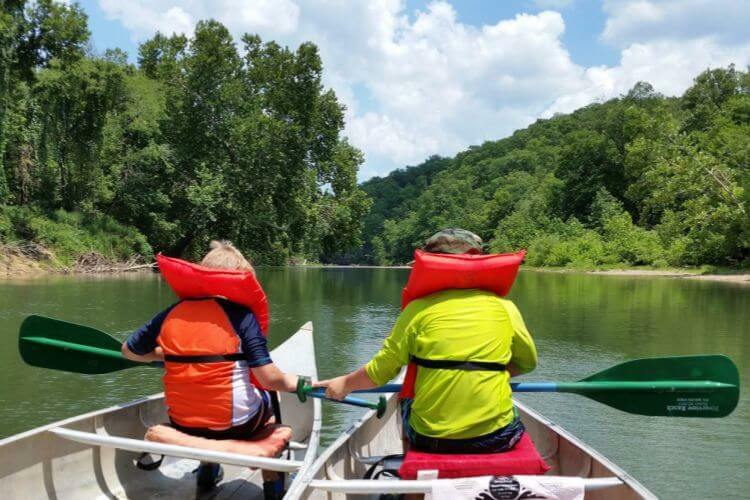 Another great area to discover in Sullivan is the beautiful Meramec River by canoe or kayak. On your float trip you’ll see soaring limestone bluffs and beautiful tree-lined landscapes. And there’s always a possibility of spotting wildlife like eagles or river otters. On the Way There: Take the historic Route 66 right to Sullivan, stopping at the Route 66 State Park in Eureka and a huge rocking chair roadside attraction in Fanning. 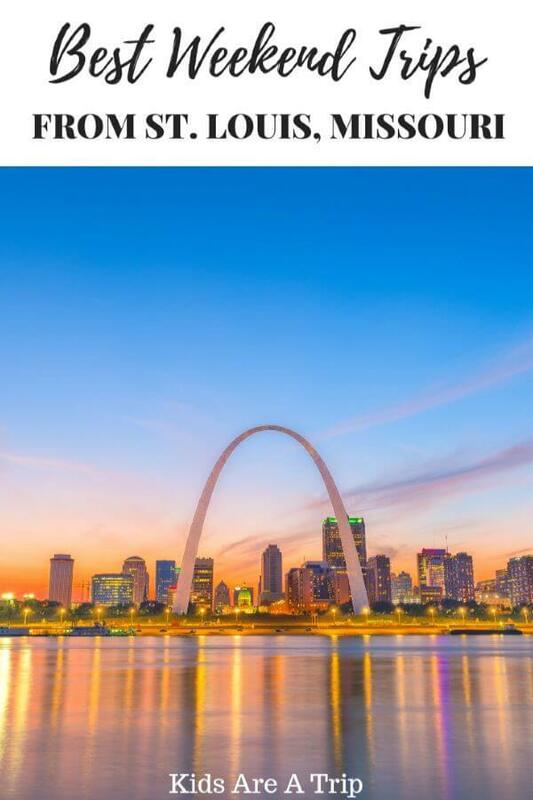 Located on the banks of the Mississippi River only 100 miles northwest of St. Louis, the river town is a great place for a quick family getaway. Step back into the 1800s with a visit to Mark Twain’s Boyhood Home and the houses of Huckleberry Finn and Becky Thatcher – where the real people lived that helped shape Twain’s vibrant and memorable characters. 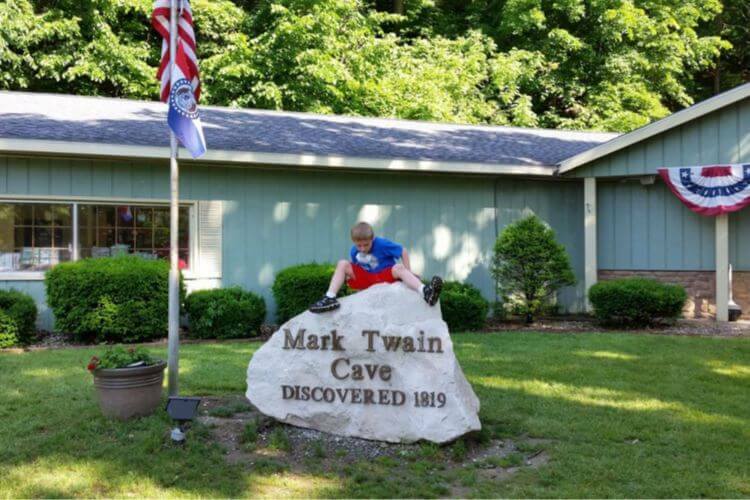 Tour the mysterious and dark cave that Mark Twain himself wandered through as a child and references in five of his books or hop on a riverboat cruise to learn about life on the Mississippi. And if that’s not enough to keep you busy, stop in the Big River Train Town and Museum where the kids are handed a whistle and encouraged to work the switchboard. For a truly unique experience, plan your weekend around the Twain on Main Festival held annually over Memorial Day Weekend. 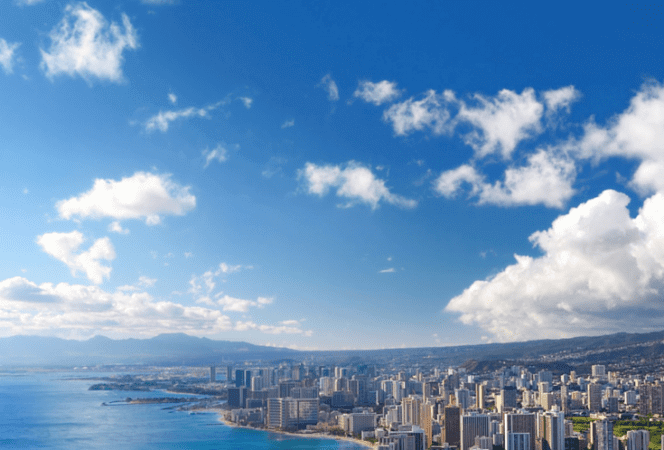 This post was written by Angela Essington, a courageous Auntie who travels with her nephews. 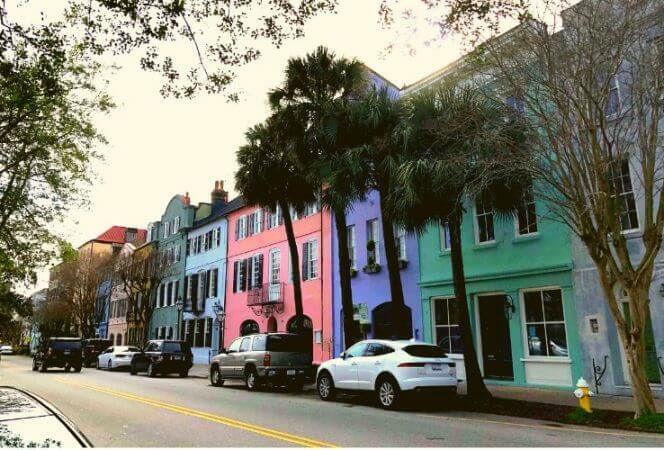 She is a writer at Dang Travelers, a travel and adventure blog that is known for road tripping tips, budget-friendly guidance, and travel itineraries. All photos are credited to Angela. If you’re looking for other Midwest adventures don’t miss French Lick, Indiana, Milwaukee, Wisconsin or Chicago!